The process of applying DC voltages across the different terminals of a transistor is called Biasing. For normal operation the emitter-base junction is always forward biased while the collector base junction is reverse biased. 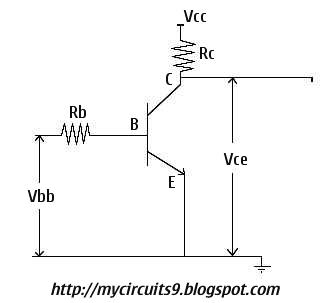 where Vcc is the supply voltage and Vce is the voltage across collector-emitter terminal. Simillarly, to make Transistor ON we have to give or maintain 0V across the collector emitter junctions. 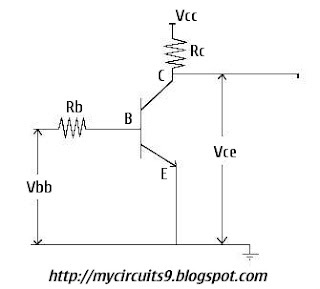 It means Collector and Emitter junctions get short circuited (0V) so the current conducts from collector to emitter.